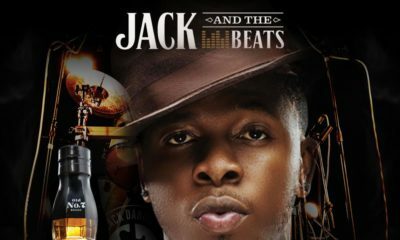 It’s no secret that Jack Daniel’s hosted the biggest BBQ festival Nigeria has ever seen back in July this year with top acts like Timaya, Reekado Banks, Runtown, The Compozers (From the UK) and many more. The talk of the city BBQ festival also featured vendors who cooked all things grilled and smoked. Come 12th November, 2016, Muri Okunola Park will be transformed once again for all friends of Jack. 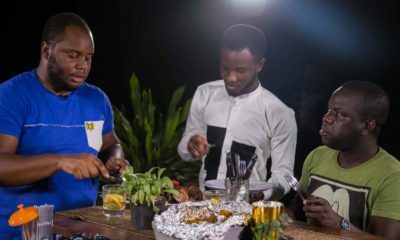 This edition will feature The Compozers (UK), Mr Eazi (Ghana), Falz, Lil Kesh, Naeto C, Niniola, CDQ, DJ Lambo on the music stage while the MasterGriller BBQ competition with N750,000 up for grabs will take place on the other stage. 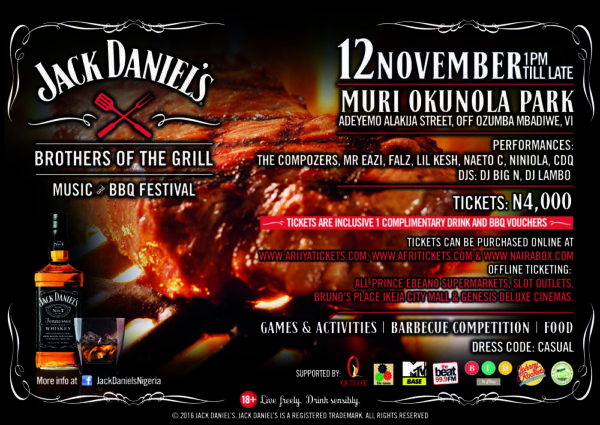 With tickets for only N4000 (inclusive of Jack Daniel’s cocktails, BBQ servings) you can have the time of your lives! 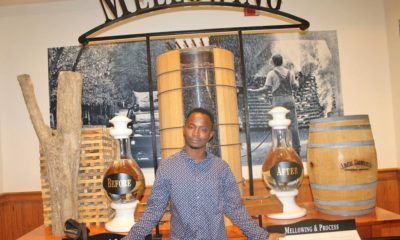 Aside delicious barbecue and food available; the amazing cocktails from the Jack Daniel’s family of whiskeys will be available for purchase at the outlets Quilox, Grind Grill, BLD by Play, Johnny Rockets and Grasshoppers Place. It’s about cooking meat with fire and smoke, chowing down together on a big table with family and friends while listening to great music. This event is supported by MTV Base, The Beat 99.9 FM, The Grind & Regno Media.